Best of the Week: Gaga gets hacked, a Pinoy saint, and Britney is engaged! Again. 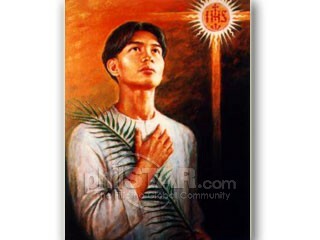 Manila, Philippines – Blessed Pedro Calungsod will be canonized as the second Filipino saint since Lorenzo Ruiz in 1987. Calungsod, a native of Iloilo, is known as the 17-year-old martyr who taught Catechism and evangelized the Chamorros in the Marianas Islands, Guam. He was beatified by Pope John Paul II in 2000 for his unwavering dedication to Christ, and that “young people today can draw encouragement and strength” from him. On Dec. 19, Pope Benedict XVI approved his sainthood after a woman was brought back to life from a heart attack through Calungsod’s intercession. 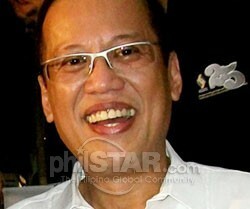 The date of his canonization has yet to be announced, but we Filipinos are proud! Actress Valerie Concepcion and President Noynoy Aquino are getting negative attention for attending a Christmas party for the employees of Malacañang at the height of Typhoon Sendong. The story broke after Valerie tweeted that she was at a party with the president and that he was laughing at her jokes. The Aquino team (meaning his sisters), came to his defense saying that the party has been planned ahead of time but that he was constantly on the phone, monitoring affected areas such as Cagayan de Oro. His unofficial spokesperson, Kris Aquino also said that “Hindi naming pwedeng huminto nalang ang buhay at magmukmok nalang tayo.” All we have to say is that it must have been one hell of a party! 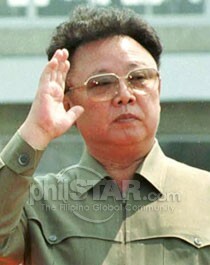 Kim Jong-Il has been a popular figure even outside the political circle, so it came as a huge shock when it was revealed that the North Korean leader died over the weekend. The news came as a double surprise because it was declared two days after, similar to what happened when his father, Kim Il-Sung passed away. The Dear Leader died of a heart attack caused by overwork and stress, and his son Kim Jong Un will soon take control of a 24 million strong nation, raising concerns over his plans and capabilities. The local media has elevated him to mythic status, but politicians and the masses are still cautious with the Great Successor, wondering if he can be iconic enough to have a Tumblr account of him looking at things. Lady Gaga wins the Associated Press’ Entertainer of the Year award, besting Apple’s Steve Jobs by three votes, but 45 million Facebook fans and 17 million Twitter followers weren’t entertained when a virus hacked into Mother Monster’s accounts promising an iPad 2 for every follower who clicked the link posted. The post read “FREE iPad2′s to each one of you in the spirit of the holidays” luring unsuspecting followers (at least 7,000 of them) who thought she was just being her fan-loving self. The posts have been deleted, but her AP win might be eclipsed by the hacking. After all, what use does a cooperative shared by 1,700 newspapers, 5,000 radio and television broadcasters, 243 news bureaus, and 120 countries have compared to 62 million rabid monsters? 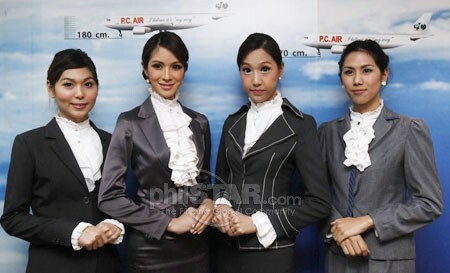 New Thai airline PC Air made a bold move by hiring transsexuals, or ladyboys, to serve as flight attendants. The decision to hire one of Thailand’s “trademarks” came after more than 100 transsexuals applied for the job. Four were accepted with the condition that they must walk and talk like a woman and that they meet the qualifications for female flight attendants. One transsexual flight attendant, Tanyarat Jirapatpakorn said that the opportunity is the beginning of acceptance of transsexuals in Thailand and that maybe they could get a future job in the police force and the army, scaring homophobes into bullying members of the LGBT community with access to machine guns.